Wonderful tag design!! Love your festive colors and pop of color on your sentiment! Oh! LOVE this, Shirley. Beautiful use of the stencil. This TAG event is making all kinds of things fly into my shopping cart! Your sentiment says it all, Shirley: magical! 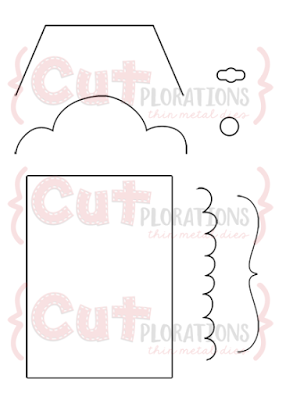 Need to give my holly stencil some play time....thank you for the inspiration! Love the graphical look of your tag! So gorgeous and your design caught my eyes! Oh my....what a fabulous tag and I love that die! Great job with that sharpie around the leaves! Fabulous tag! Pretty tag! Love the addition of the word die! Pretty holly & berries! I have my eye on the Tag Builder too... Love the Magical word astride the tag. I love this tag. So gorgeous with that background to showcase the big sentiment. I love that fun die, and so clever to draw those black outlines around the stencilled holly, really makes it pop. Beautiful tag! great modern graphic feel to your tag! I so like your background! nice job! LOVE the CHEERY design and colours!!! Got my eye on that magical die, it might just have to jump into my shopping cart! Wonderful modern looking tag. I love the way you outlined in a black marker, it gives some nice dimension! Beautiful tag! Very pretty! I love this stencil. This is ahhhh-mazing! Love your background for sure! 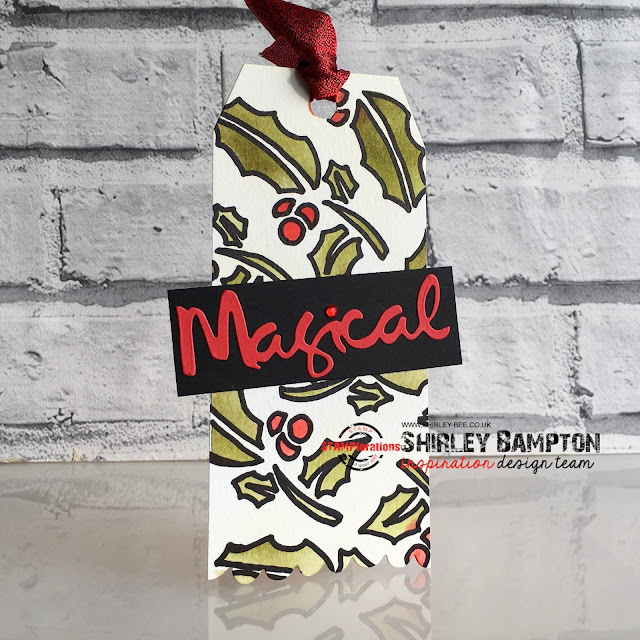 Beautiful and festive tag, Shirley! I like the tag you made and the holly background. This is stunning, so festive!